I don’t like to blow our shop’s trumpet too often but we have just created the best children’s birthday cakes ever! 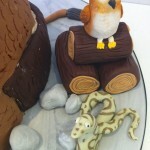 It is a 3D Gruffalo birthday cake and I love love love it! 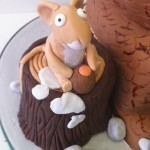 The Gruffalo is a very popular children’s birthday cake theme and we regularly make him in various ways. Since 3D cakes always feed a lot of people i.e 25 or more, a really nice alternative is to have a sugar model of the Gruffalo sitting on a log with the woodland leaves and toadstools around him. This keeps the cost down but you still get a fantastic Gruffalo birthday cake that your child will love. 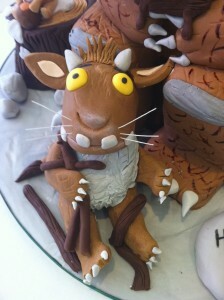 Gruffalo is made from cake and all the other characters are edible sugar models. I think I want my own one for my birthday it is so cool! 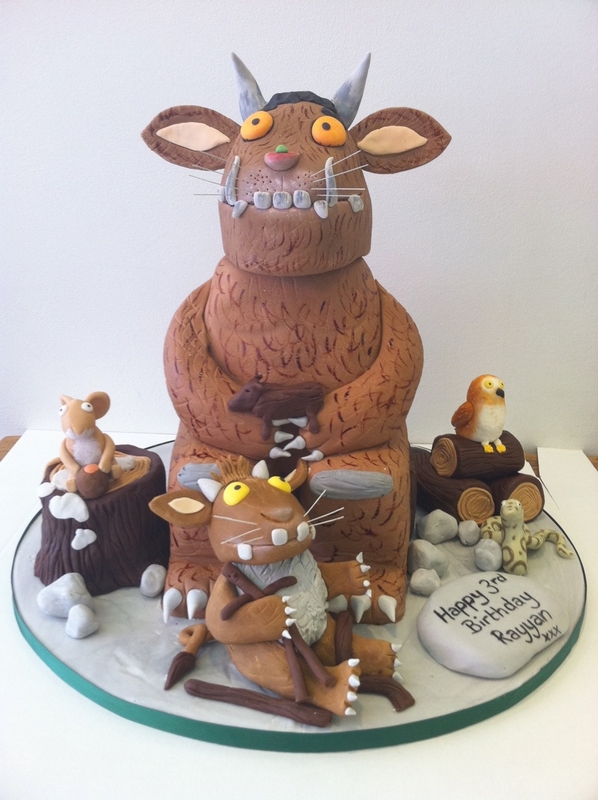 Get in touch with the Cakes by Robin team today if you have an idea for a Gruffalo birthday cake and want to discuss your ideas with us. We have a brilliant creative team who can show you all of our Gruffalo cake examples to give you inspiration for your child’s birthday. Pop in to our tea shop or call us on 020 8874 4616.